You will be picked up by our chauffeured style vehicle and taken to Pearl Harbor where you are offered a cold drink of water or tropical juice before accompanied to the entrance of the Visitors Center. You will be met by our supervisor dressed in black with a gold tie to give you a brief orientation and provide your vouchers & tickets Experience a VIP Pearl Harbor tour like no other! Your tickets are included - No waiting in lines, No hassle! 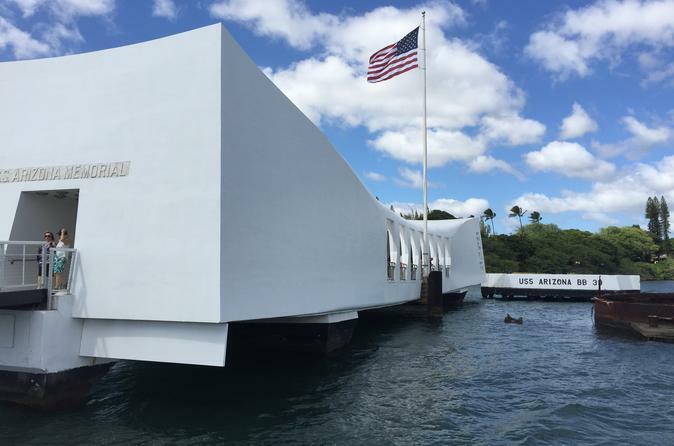 Come honor the heroes of Pearl Harbor as we take you to some of the memorials, monuments, and museums built to commemorate the bravery of those who lost their lives during the Japanese attack.